Conceptualizing Capitalism; Institutions, Evolution, Future (2015) | Moral Markets? "A few centuries ago, capitalism set in motion an explosion of economic productivity. Markets and private property had existed for millennia, but what other key institutions fostered capitalism’s relatively recent emergence? Until now, the conceptual toolkit available to answer this question has been inadequate, and economists and other social scientists have been diverted from identifying these key institutions. 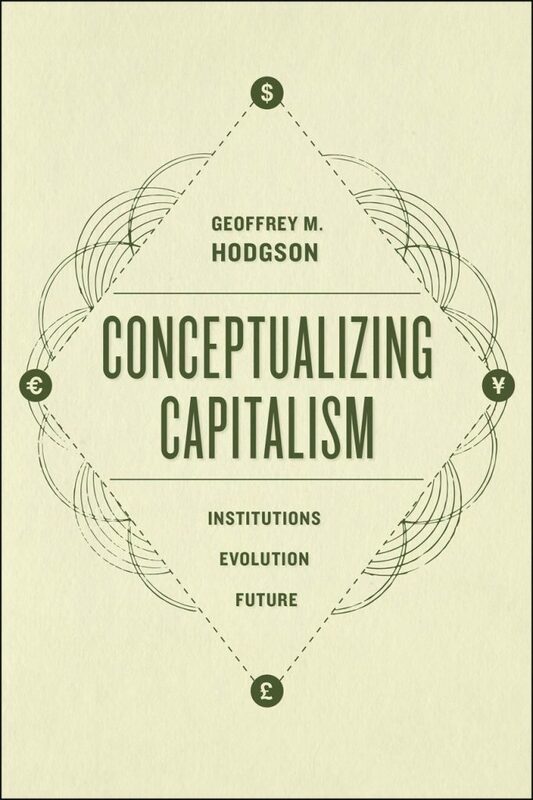 With Conceptualizing Capitalism, Geoffrey M. Hodgson offers readers a more precise conceptual framework. Drawing on a new theoretical approach called legal institutionalism, Hodgson establishes that the most important factor in the emergence of capitalism—but also among the most often overlooked—is the constitutive role of law and the state. While private property and markets are central to capitalism, they depend upon the development of an effective legal framework. Applying this legally grounded approach to the emergence of capitalism in eighteenth-century Europe, Hodgson identifies the key institutional developments that coincided with its rise. 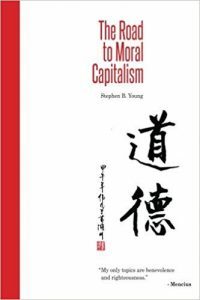 That analysis enables him to counter the widespread view that capitalism is a natural and inevitable outcome of human societies, showing instead that it is a relatively recent phenomenon, contingent upon a special form of state that protects private property and enforces contracts. 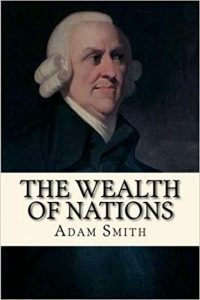 After establishing the nature of capitalism, the book considers what this more precise conceptual framework can tell us about the possible future of capitalism in the twenty-first century, where some of the most important concerns are the effects of globalization, the continuing growth of inequality, and the challenges to America’s hegemony by China and others." "One of the eccentricities of the book is that it takes more than 250 pages before spelling out its full definition of capitalism. This is because Hodgson is on a mission to cleanse economics of imprecise language. He believes that our understanding of the subject has been impaired by the "deep corruption” in the social sciences of terms such as property, exchange and capital. So he spends several chapters clarifying these and other concepts. [...] One of the book’s more interesting pieces of analysis suggests that many growth projections for Russia, Brazil, China and India are over-optimistic as they underestimate the institutional changes required to reach high levels of per capita gross domestic product. On policy reform, its suggestions are relatively modest. But it is a stimulating, historically grounded exploration of the subject and a rewarding, if occasionally dense, read." "The aim of the book is to give a coherent and systematic definition of capitalism. Its first merit is to challenge the recurrent idea of capitalism as a natural (the naturalist propensity to exchange or contract) or civilized system (the efficient result of institutional adaptations in a competitive context) of the liberalist approaches by observing the social and, thus, the historical character of the capitalist institutions and relations. Hodgson also distinguishes a market economy from a capitalist economy (going beyond the leftist connotation attributed to the use of the word capitalism). But the aim of the book is far beyond, as trying to build a global framework which allows considering every economic problem within the global context of the capitalist system. So, we strongly recommend reading his book and to use it for developing debates on the characterization of capitalism." "Perhaps the most important achievement of the book is that Hodgson highlights the role of law and the State in the proper functioning of capitalism as he introduces legal institutionalism, which locates legal infrastructure at the core of the capitalist system. [...] While Hodgson has a legal-orientated understanding of institutional analysis, he also observes that legal systems do not emerge by themselves; rather, they are the product of previous disputes and how they were resolved. As these are resolved, Hodgson underlines the distributional effects and power asymmetries that law creates or is itself influenced by. [...] Hodgson also concentrates on today’s major social, economic and political challenge: namely, inequality. For him, markets (i.e. capitalism) do not produce inequalities per se; rather, inequality is the result of capital and what he calls 'differential collaterasability.' [...] The book is very rich in analysis of what capital(ism) is. What Hodgson does not elaborate upon much are the political economy aspects of legal institutionalism. An understanding of the evolution of legal systems from political economy approaches is needed because the distributional effects and the power of the law on the economy and individuals cannot be well addressed if there is a lack of knowledge as to whose interests and preferences are more influential in the evolution of legal systems." "Capitalism and law go together in Geoffrey M. Hodgson’s comprehensive analysis of the intellectual history and practical development of the capitalist system in Western Europe and North America. 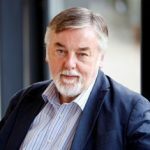 Given the breadth and depth of Professor Hodgson’s reading in political economy and his reflections on its implications for the present and future of global capitalism, his book deserves to be widely read. 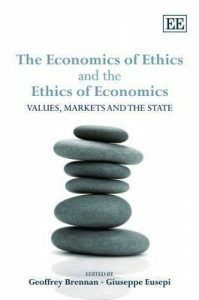 Labeling his approach legal institutionalism, he argues that a legal system that supports capitalism and the market is necessary but not sufficient to sustain a fair and efficient economic system. The state makes efficient markets possible, but it must also deal with the inevitable tensions and the fundamental asymmetry between labor and capital. Tensions arise because labor cannot be used as collateral for the loans that are needed for large-scale capitalist enterprise. Hodgson has not developed the political implications of his conclusions in any detail, but his work ought to inspire research that explores the implications of his arguments for ongoing projects of nation building." Geoffrey Hodgson is Research Professor in Business Studies at the University of Hertfordshire. His research focuses on the theoretical and methodological foundations of institutional and evolutionary economics. He is Editor-in-Chief of the Journal of Institutional Economics and author of over 16 books, over 140 articles in academic journals, and over 80 articles in academic books. His principal fields of academic interest are institutional economics, evolutionary economics, the methodology of economics, the history of economic thought, the nature of the firm, social theory. Review in Oeconomia that focuses "on the core of the methodology used by Hodgson and leaves behind his detailed analyses of modern institutions"